Greetings again from the darkness. For a director, true power in the movie industry means you can obtain the financing and assemble the cast and crew you need to make the films that have meaning to you. With his 40 year career of unmatched combined box office and critical success, Steven Spielberg is the epitome of film power and the master of bringing us dramatized versions of historical characters and events. 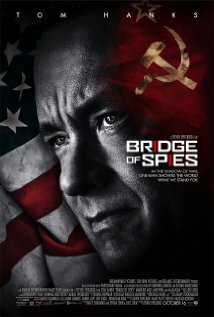 In his fourth collaboration with Tom Hanks, Spielberg tells the story of James B Donovan. You say you aren’t familiar with Mr. Donovan? In the late 1950’s and early 1960’s, the CIA (Allen Dulles was director at the time) persuaded James Donovan to provide a bit of Cold War legal service. Mr. Donovan was by trade an Insurance attorney, but after others in his profession passed on the “opportunity”, his commitment to justice and human rights drove him to accept the challenge of defending suspected Russian spy named Rudolph Abel. In the face of an angry populace and government, Donovan took the case all the way to the Supreme Court – and his exact words are spoken in the movie by Hanks. Not long after, Francis Powers (played by Austin Stowell) was piloting a CIA U-2 spy plane when he was shot down over Russia and taken captive. This sequence in the film is breathtaking to watch. Enter James Donovan again … this time to negotiate an exchange of prisoners: Rudolph Abel for Francis Powers. It’s these negotiations that provide the element of suspense in the story. Mr. Donovan was a family man, but he was also very confident in his ability to negotiate on the biggest stage and under the brightest spotlight (or darkest backroom). 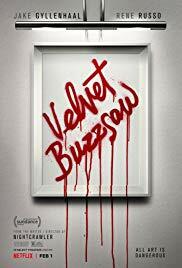 The movie is exactly what you would expect from a master filmmaker. Spielberg slickly re-creates the era through sets, locations, and costumes. He utilizes his remarkable eye behind the camera, an interesting use of lighting, and the score from Thomas Newman. Nope, that’s not a misprint. It’s the first Spielberg movie in 30 years not scored by John Williams (who was unable to work on the project). Of course, the cast is stellar and it all starts with Tom Hanks. He just makes everything look so darn easy! Whether he is talking to his wife (Amy Ryan), his kids (including Bono’s daughter Eve Hewson), his law partner (Alan Alda), or agents from the U.S. or Russia … Hanks manages to make each scene real and believable. It’s the scenes between Donovan and Rudolph Abel that are the most fascinating to watch. Mark Rylance plays Abel, and to see these two men grow to respect each other for “doing their job” is a true acting and screenwriting clinic. We find ourselves anxious for the next Rudolph Abel scene during an extended span where the focus is on Donovan’s negotiations. When the two finally reunite, it’s a quietly affecting moment where much is said with few words. Spielberg utilized many of the locations where the actual events took place, and this includes Berlin and the Glienicke Bridge where the real exchange took place in 1962. While missing the labyrinth of twists and turns of Tinker Tailor Soldier Spy, it’s knowing that these are real people in real situations that make this historic drama so thrilling and riveting to watch. Film lovers will also get a kick out of the fact that the script was co-written by the Coen Brothers, and history lovers will enjoy seeing some of the details provided by the written words of those involved, as well as their surviving family members. It’s an era that seems so long ago, yet the topics are so pertinent to what’s happening in the world today. Beyond all of that, it’s a story of a man standing up for what’s right at a time when that was not the easy or popular way. Greetings again from the darkness. It’s a musical, but not a typical musical. It’s a fairy tale, but not a typical fairy tale. It’s funny, but not a typical comedy. It’s a bit frightening, but not a typical monster film. 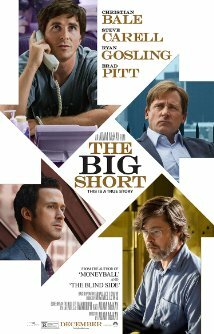 It’s filled with lessons of morality and responsibility, but certainly not a typical parable. In fact, there is nothing typical about director Rob Marshall’s (Oscar winner for Chicago) screen adaptation of the smash Broadway hit from Stephen Sondheim and James Lupine. The story revolves around 4 classic Fairy Tales: Little Red Riding Hood, Jack and the Beanstalk, Rapunzel, and Cinderella, in a style much more similar in tone to the edgy Brothers Grimm, than the cuddly Walt Disney traditionals. These four are intertwined with the saga of a baker (James Cordon) and his wife (Emily Blunt) who discover they have been unable to have children due to a long ago spell cast by a wicked witch (Meryl Streep). With a secret agenda, the witch offers the couple a way to break the spell, and that’s what ties-in the four tales and provides a reason for adventure and song. Filmed seamlessly between an elaborate sound stage and a couple of park locations, the film has a dark and eerie feel to it that’s probably too intense for younger children. And much of the dialogue and lyrics is aimed directly at adults and will be a blur to kids. Additionally, in typical Sondheim fashion, the songs aren’t catchy and melodic in the manner of most movie musicals … instead the lyrics propel the story and help shape the characters. Oh, and by the way, don’t expect any fancy dance sequences – this is pretty serious stuff with plenty of angst amongst the characters. Ms. Streep is extraordinary as the witch (both nasty and beautiful) and does a terrific job with her three main songs. She is especially fun in her entrances and exits, and while wearing the most impactful of all the costumes. Emily Blunt also handles her vocals very well and offers up some of the film’s most witty dialogue. Chris Pine (as the Prince) is flat out hilarious, and with a twinkle in his eye, spouts lines such as “I was raised to be charming, not sincere”. He also shares the screen with Billy Magnussen (playing the younger brother) in the most audacious of the musical numbers, “Agony”. As Cinderella, Anna Kendrick once again proves she is an exceptionally talented singer, and James Cordon anchors the production as the nice guy village baker we are rooting for. In supporting roles, we have a devilish Johnny Depp whose screen time as the Big Bad Wolf is quite limited, and a perfectly cast Christine Baranski as the evil step-mother in cahoots with her non-Cinderella daughters played by Lucy Punch and Tammy Blanchard. Lilla Crawford is Little Red Riding Hood, and her young age snuffs out much of the innuendo that the Wolf scenes should have provided, and takes the edge off the song “I Know Things Now”. Daniel Huddlestone is an energetic Jack, and dependable Tracey Ullman plays his frustrated mom. MacKenzie Mauzy captures the awakening of Rapunzel, while Frances de la Tour frightens everyone involved as the agitated (for good reason) Lady Giant. Unconventional is the best description of this production, and there is a group of viewers who will be totally captivated by it, while a much larger group will probably find it too dark and bleak, and lacking the easy charm we have come to expect from movie musicals. However, for those of us in the first group, we will be totally enchanted by the characters, story lines, wry humor, costumes, sets, and songs. 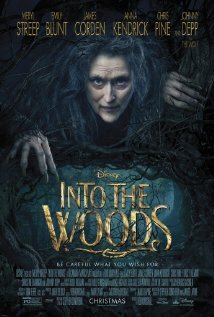 SEE THIS MOVIE IF: you prefer your fairy tales a bit on the dark side OR you want to see yet another incredible performance from Meryl.